Healing Now - Living like Jesus! That was one of the statements of Charles Ndifon that challenged us and stirred us up. 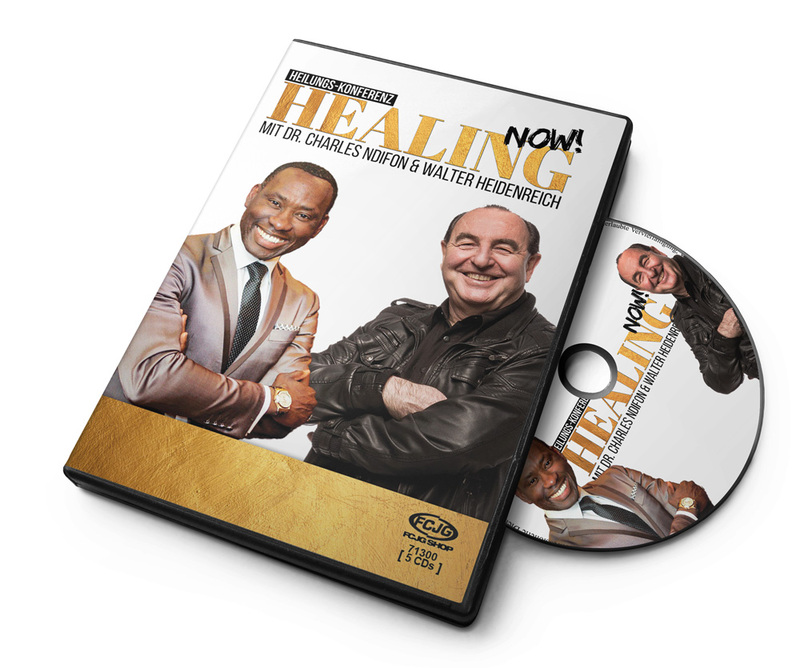 When you hear »Healing Now« you probably expect to read testimonies of healings. And there were plenty – ears were opened, heartburn was permanently healed, pain in the joints disapeared and much more. The whole weekend was filled with the truths of heaven – of which healings are one part. 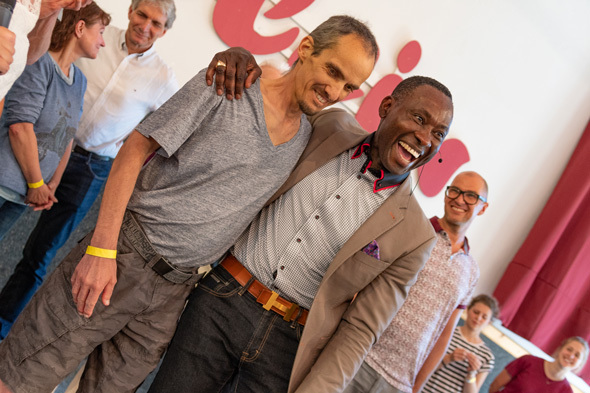 But one soon realized, that this likable African had a far greater topic in focus and so should we: Live as Jesus has lived! What was the foundation of everything Jesus did on earth? He knew who he was! He knew, that the Father was with him. And he knew, that His power lived in him. He didn't only preach. Where ever he went he demonstrated the Word of God in power. The blind could see, the lame could walk, the dead were raised – we all know theses stories. And the stories are not supposed to be just nice reports, they are to become our lifestyle! Because Jesus himself said, that we were to do greater things than he himself. 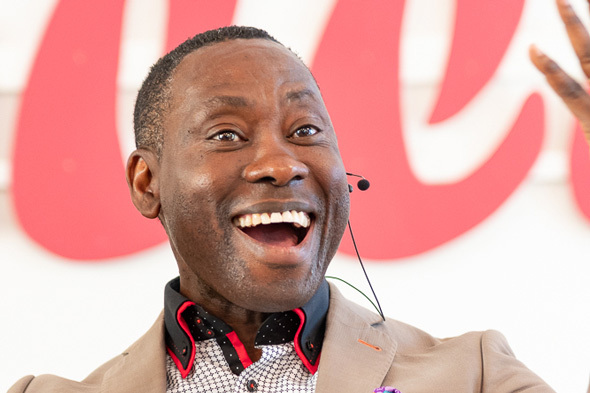 Charles Ndifon is living in this authority with confidence and assurance, that God does do miracles. Everywhere in the world he and his team experience the powerful wonders of God. Even though he increased our hunger by sharing these testimonies, his intention was to put one thing in focus: We are ALL called to walk in this God given authority and to experience the things, Jesus has promised. 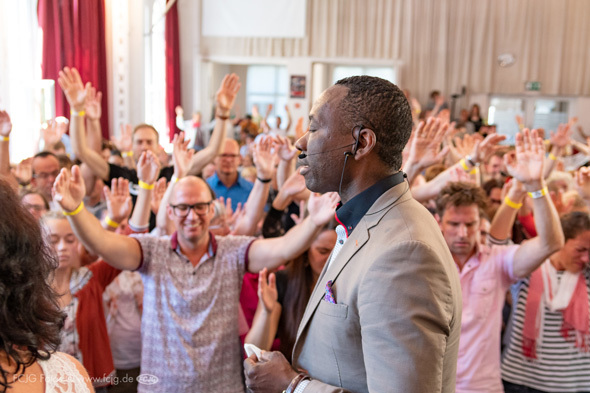 „Healing Now“ - many came to receive their healing and God loves to give it. But beyond that it is about the understanding, that we can bring this healing – into a world that lives in pain, seperated from God; a world that is waiting for us to go and live »Healing Now«. The world is waiting for us to not just experience our own miracle but put God's power into action. He is in us and we are in him. We are the light of the world. This was one of the major messages of the training weekend. Living in the supernatural realm - that is just how Jesus lived. It brings God's healing to the whole being – to his people and to this world. The world desparately needs us to not just live with Jesus but live like him. So we are grateful for every healing, every testimony, every great experience. At the same time we are hungry, determined, stirred to go beyond the healings into the supernatural dimension of God who works miracles. We want to proclaim His gospel in power and live like him. 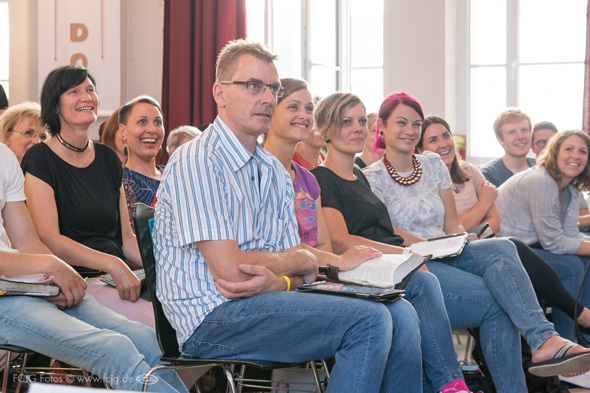 If you had no opportunity to be at the training weekend – just take in the four gospels and listen to Charles Ndifon's teachings (in English and German, ordering process only in German). Learn from Jesus and go out to do as he did – because this is the kind of life, God has for YOU!